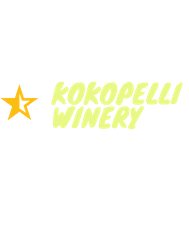 Kokopelli Winery is a family owned and operated site. We are driven by our passion for good wine and enjoy sharing that with our friends and relatives. Our philosophy is that a successful party has not only delicious food but also great wine. We pride ourselves in the quality of the wine that we share with our audience. We start by writing relevant articles where information is fresh and not rehashed. We listen to our audience to ensure that the articles we put together make sense, thematically and financially. It’s all about balance. We provide flexibility in our posts and allow a little vulnerability to achieve that balance.